We know that the calendar says spring is almost here, but for many it still feels like winter, and that can often mean depression and anxiety. Fortunately, there are natural supplements for depression and anxiety that will often work better than prescription drugs. So if you’re looking out the window and feeling like you just can’t take another dreary day, read on and find your way to some sunshine, even if it’s only in your heart for now. Part of living self-sufficiently includes managing your health as much as possible. I’m not especially fond of going to the doctor if I can avoid it, so I try to use natural remedies as much as possible. My personal choices are herbs and essential oils in most cases. In my way of thinking, essential oils are an extension of herbalism. They are all plant medicine. 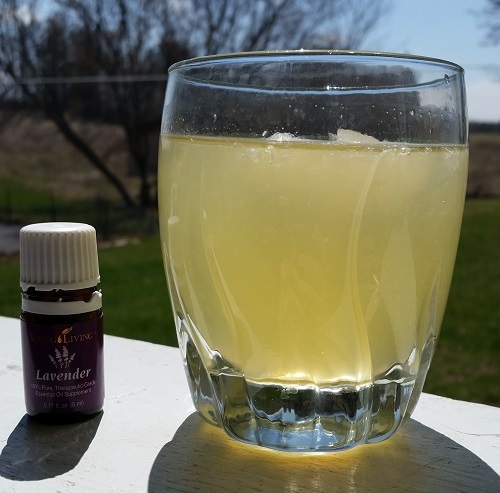 So I finally made the lavender lemonade that my daughter posted on my Facebook page. The recipe was on the Healthy Holistic Living website. When the essential oils I ordered came in, I couldn’t wait to make this, but I had too much work to do, so it had to wait until today. Finally. I’m pretty sure I used to have a juicer thingie, but I have no idea what happened to it so I ended up squeezing the heck out of 6 lemons to get 2 cups of fresh juice. It helps to nuke the lemons for about 15 seconds and then roll them on the counter. My hands were a bit sticky once I was done, but they sure smelled good. Then I added the 12 cups of water and the cup of honey. After a bit of stirring to get the honey mixed in, I added 1 drop of my lavender essential oil*. I mixed it well and couldn’t wait to taste it. I lifted the glass to my lips and immediately put it back down. What do I smell? Soap?? Arg! So I quickly poured it into another pitcher, thinking I hadn’t rinsed the first one well enough and had ruined my lemonade with soap. By the time I was on my third pitcher, I realized I was smelling the lavender oil. (yes, I’m a little slow sometimes) I am really surprised that 1 drop is that powerful! Anyhow, the lemonade is really yum and I hope it helps with my headaches. I may need to start buying bigger jars of honey (or raising bees and getting my own). Lavender is really great for headaches and it also helps you sleep better. You should also keep it on hand for cuts, burns, bruises, rashes and sunburn. It’s really an excellent multi-purpose essential oil. Now I have a bowl full of wonderfully fragrant lemon peels and they won’t go to waste. 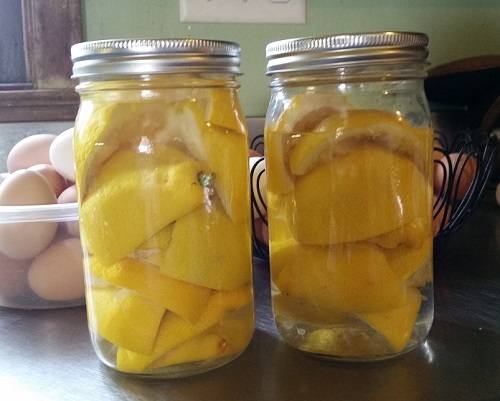 You can make an all purpose cleaner with lemon (or any other citrus) peels. Just put them in a jar and cover them with vinegar. Let it sit for a few weeks and then strain it out. To make your cleaner even more powerful, especially in a greasy kitchen, add a few drops of lemon essential oil*. Lemon essential oil is great for odors as well as breaking up grease, which makes it a perfect addition to your home made cleaners. It’s also a good habit to have a drop in a glass of water each morning to wake up your digestive system and boosts your immune system. *NOTE: Not all essential oils are safe to ingest so please make sure the ones you have are safe. If you aren’t sure, order Young Living essential oils through me.